Since we’ve already talked about the new Galaxy A70 and A80, let’s take a look at Samsung’s offering for the affordable bracket. Despite the fact that they strongly resemble each other, the Galaxy A20e and A40 have little else in common. As a matter of fact, the Galaxy A20e should be better compared with the Galaxy A20, a phone that’s been launched by Samsung last month. The only differences between the two devices are the display and battery, but prices should vary as well. Before we go into more details, it’s worth mentioning that the four smartphones revealed by Samsung early today are part of the new Galaxy A series, which has been recently merged with the Galaxy J family. If you haven’t recognized the naming scheme from the Galaxy S10 series, the Galaxy A20e is the cheaper, smaller version of the Galaxy A20, but we don’t expect its price to be much lower than that of the regular model since there aren’t too many differences between the two. 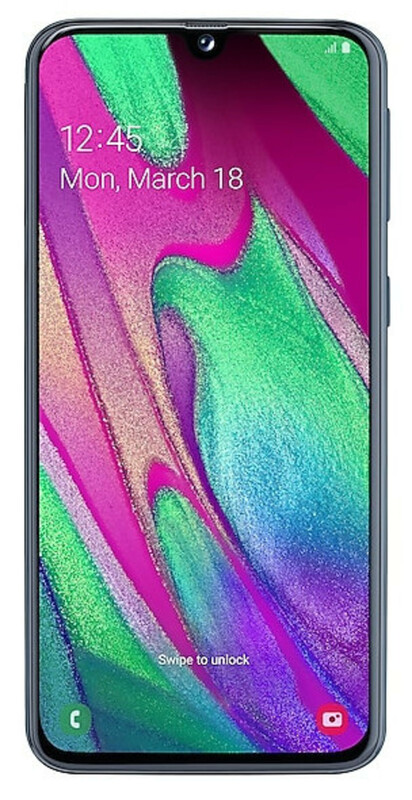 Even though it’s an affordable smartphone, the Galaxy A20e does include a rear-mounted fingerprint sensor, as well as a powerful Exynos processor with eight cores, paired with 3GB RAM and 32GB storage (up to 512GB via microSD). The 3,000 mAh battery that powers the phone features fast charging 15W, but it’s smaller by a large margin compared with the Galaxy A20 that packs a massive 4,000 battery. Other highlights of the phone include Android 9.0 Pie, LTE support, FM radio, and even a 3.5mm audio jack. The slightly better Samsung Galaxy A40 boasts a larger 5.9-inch Super AMOLED display with full HD+ resolution. It’s got a dual-camera setup on the back comprising of 16MP+5MP cameras, and an impressive 25-megapixel selfie snapper, which seems a bit of an overkill. We do believe some of Samsung’s new Galaxy A series will make their debut in the United States, but we don’t know exactly when and which devices. Our best bet is on the better-specced Galaxy A70 and A80, but some of the lower-end models might be picked by some of the US carriers as well.